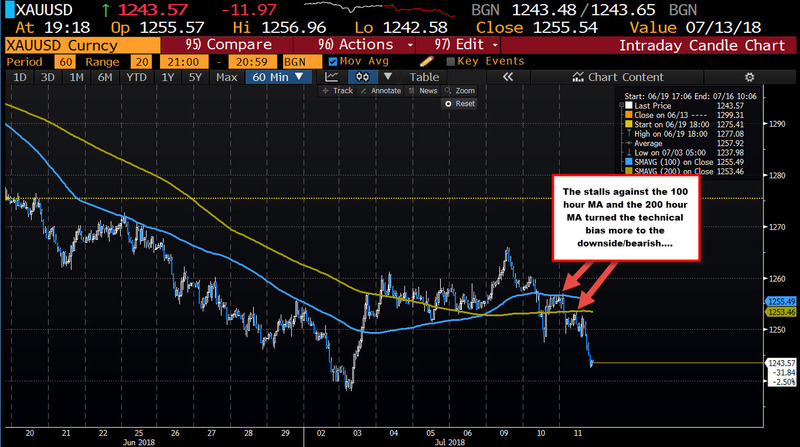 The price of gold is trading down about -$12 at $1243.42 currently. 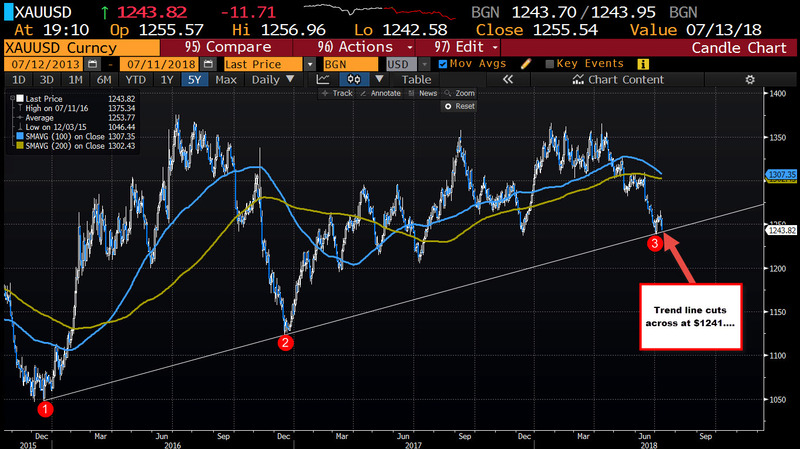 The fall takes the price toward a trend line support line at $1241. That trend line was tested earlier in the month at $1238 and found modest buyers. Drilling to the hourly chart, the price has been trading above and below the 100 and 200 hour MAs. Today, the price high stallled near the 100 hour MA, moved below the 200 hour MA (green line) and moved lower from there. Those moving averages will be risk levels for shorts now.